On pinene and inhibiting enzymes. People of a certain age may remember a series of really funny commercials featuring Euell Gibbons and his famous question about whether you've ever eaten a pine tree. " Some parts are edible " said Euell. 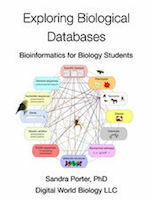 Learn how to use biological databases! 2017 Digital World Biology® ©Digital World Biology LLC. All rights reserved.